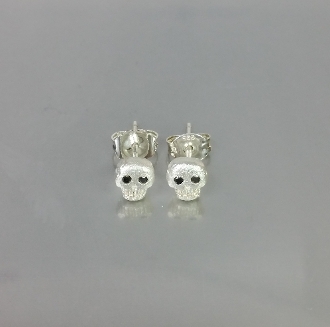 These hand crafted baby skull earrings are made of solid sterling silver. Each earrings is set with two small black diamonds for the eyes. These earrings are made with genuine quality black diamonds and are made and set in Los Angeles, CA. Each earring is approximately 5x6mm.